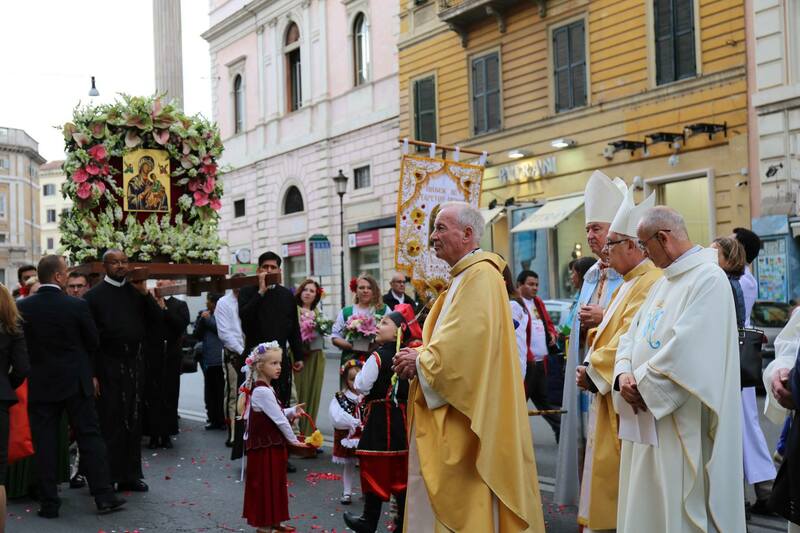 150 Years of the Veneration of Icon of Our Mother of Perpetual Help in St. Alphonsus Church, Rome! 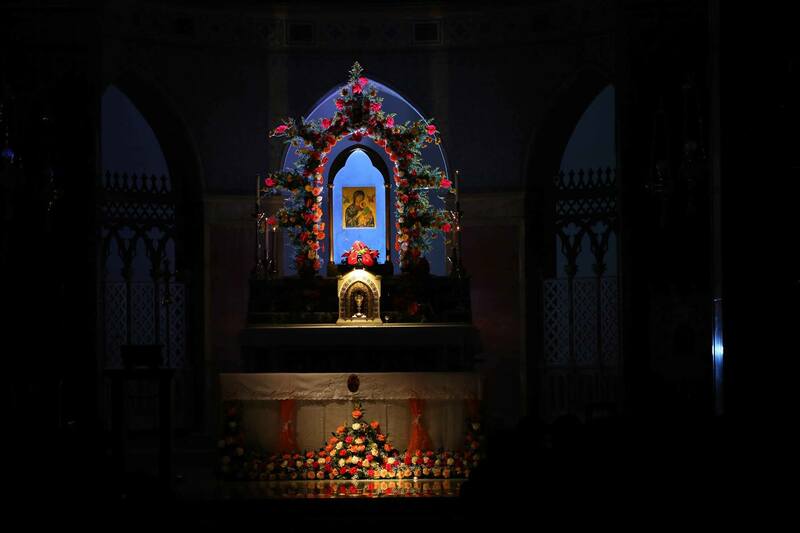 The 26 April 2016 was truly a memorable day of rejoicing and gratitude….as exactly 150 years ago, the original icon of Our Mother of Perpetual Help was placed for public veneration in the Church of St Alphonsus. 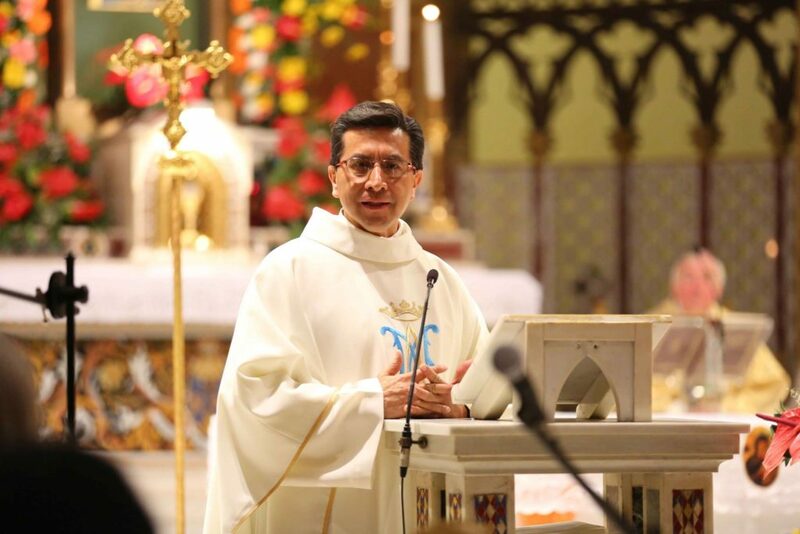 The countdown to 26 April was marked by 9 days of preparation with a daily Novena in Italian, followed by the Eucharist celebrated in different languages and liturgical rites. 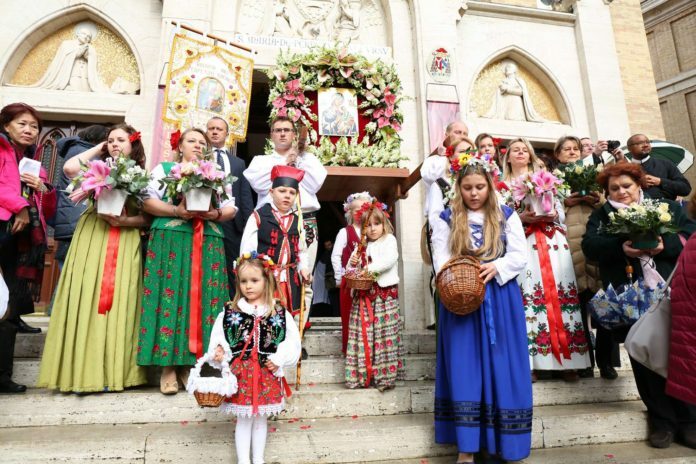 Besides Italian, the Roman Rite Mass was celebrated in Vietnamese, Polish, English, French, Portuguese and Spanish languages. 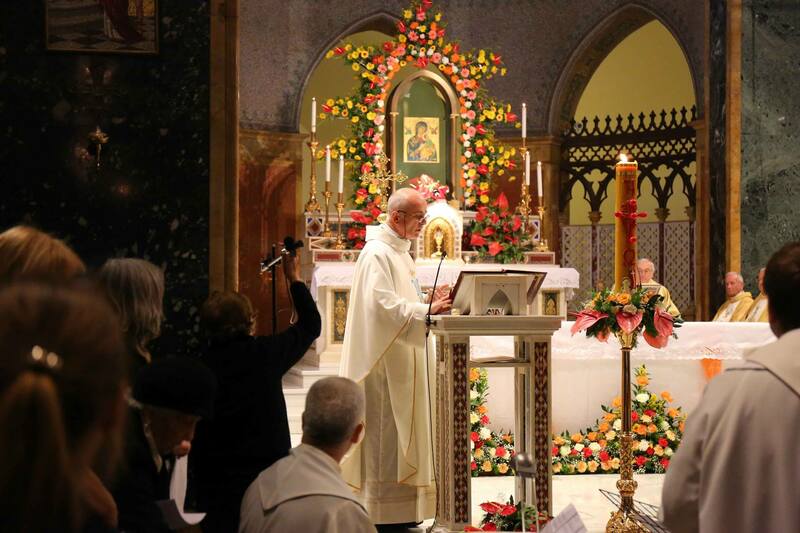 As for the Eastern Rites, the Liturgy was celebrated in the Greek Catholic Rite in the Ukrainian language; the Syro Malabar rite in the Malayalam language; and the Melkite rite in the Arabic language. 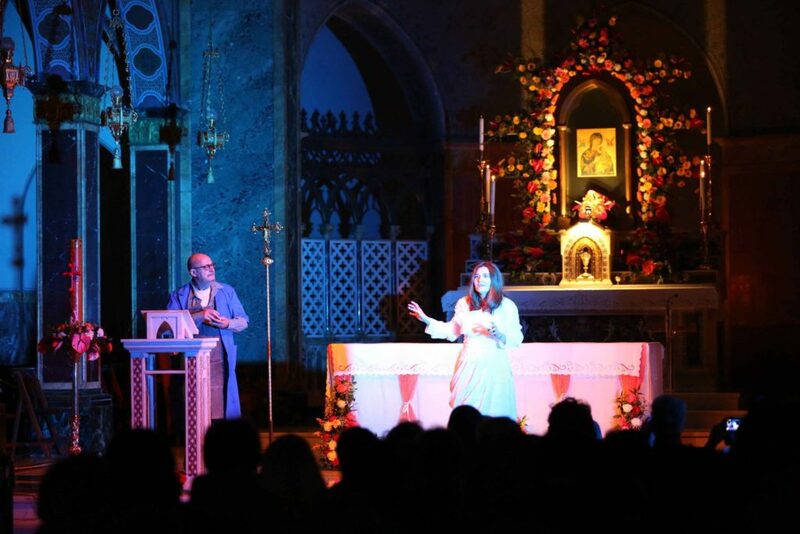 To add colour to these days, there were musical concerts and performances either before or after the liturgical celebrations. 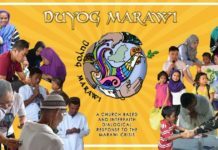 The enthusiastic response of the people marked this event, not just as a ‘churchy matter’ but as a burst of joy which embraces all of life. 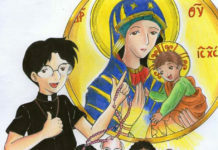 The appeal of our Mother of Perpetual Help is spread across several countries, cultures and languages. This was evident in the 9 days of preparation which saw the Shrine welcome pilgrims of ‘every tribe and tongue and people and nation’ to use the language of the biblical Book of Revelation! And this was brought to a wonderful climax on 26 April Tuesday. 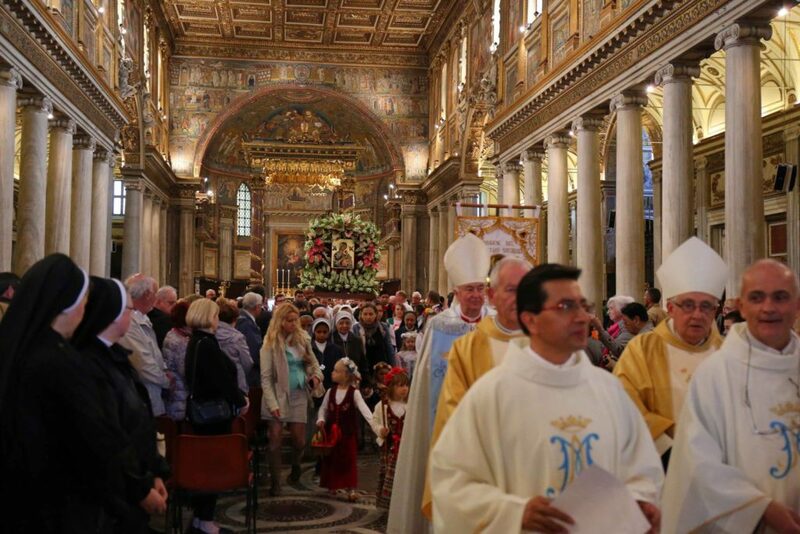 The celebration began at 1700 hours at the papal altar in the Basilica of St. Mary Majors with a procession to the Church of St. Alphonsus along Via Merulana. 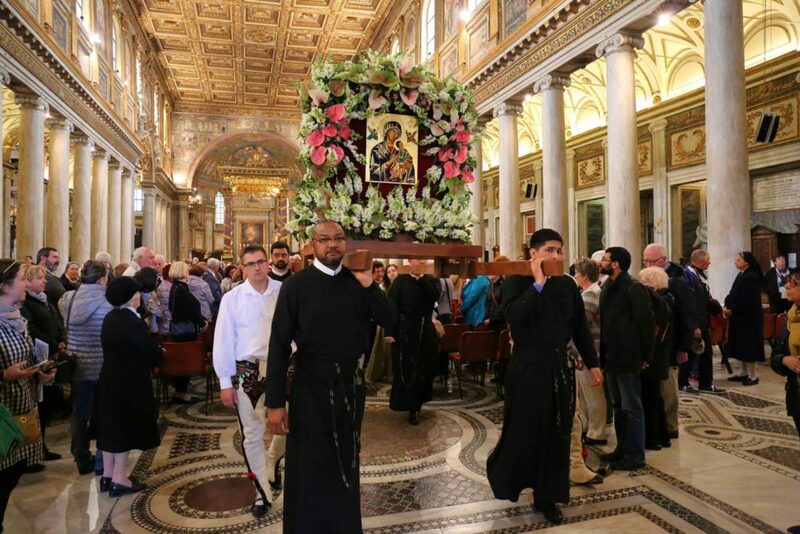 At the start, the Superior General explained the meaning of the procession, reminding those present that this was a re-enactment of the procession with the icon on 26 April 1866. The icon, beautifully surrounded with flowers was carried on a float on the shoulders of young stalwarts accompanied by prayers and hymns. There was a slight drizzle but it did not dampen the spirits of the vast numbers who participated. The entire celebration was presided over by Vincent Cardinal Nichols who is the Archbishop of Westminster, London and the titular Cardinal of our Church. The celebration and the homily which he delivered in Italian and English, moved the hearts of many. 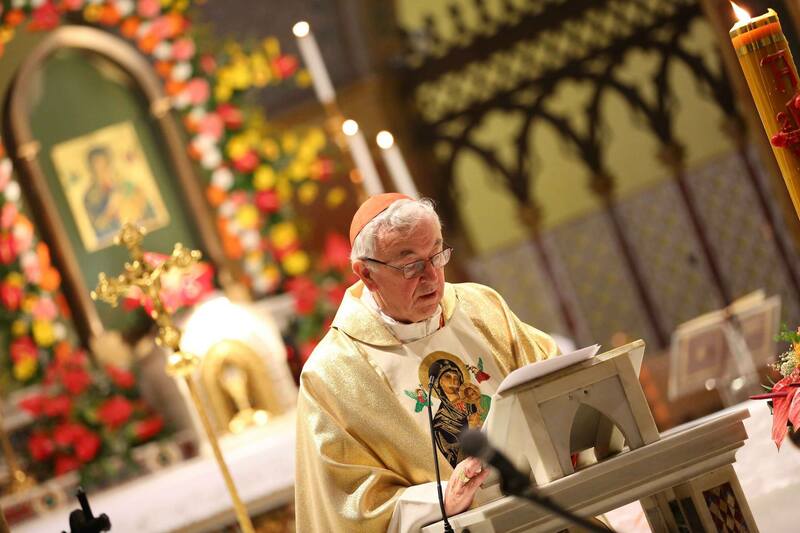 There were 2 Redemptorist Bishops – Archbishop Fernando José Monteiro Guimarães of the Military Ordinariate of Brazil; and Bishop Ralph Heskett of the Diocese of Hallam, England. They were joined also by Archbishop Peter Smith of Southwark, and Peter Andrew Comensoli, Bishop of Broken Bay, Australia. There were Redemptorists from all the five Conferences of the Congregation together with diocesan and religious priests, sisters and a considerable number of laity. The international representation was marked by a good number of devotees dressed in their traditional clothing, the inclusion of different cultural symbols and intercessory prayers offered in different languages. 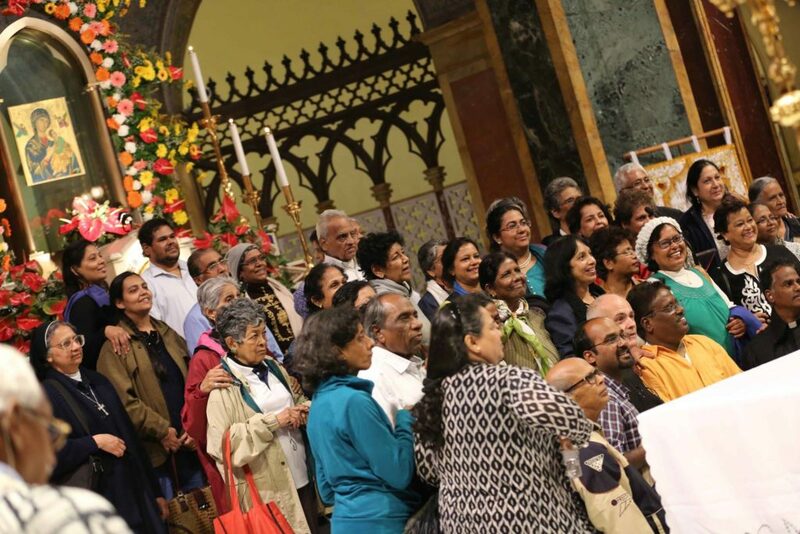 Pilgrim groups had come from various countries accompanied by Redemptorists, especially from India, the United Kingdom, Singapore, Malaysia, Paraguay, Poland. 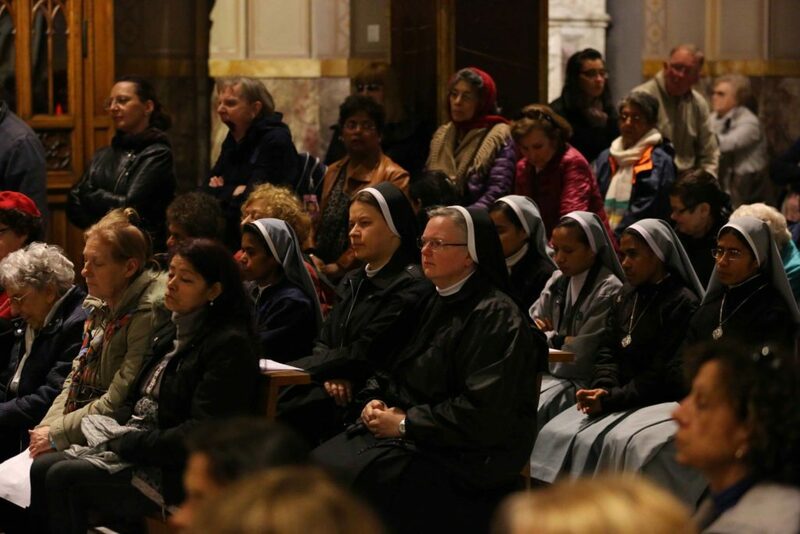 Local residents in Rome, as well as those from several other countries living in Rome were also present. 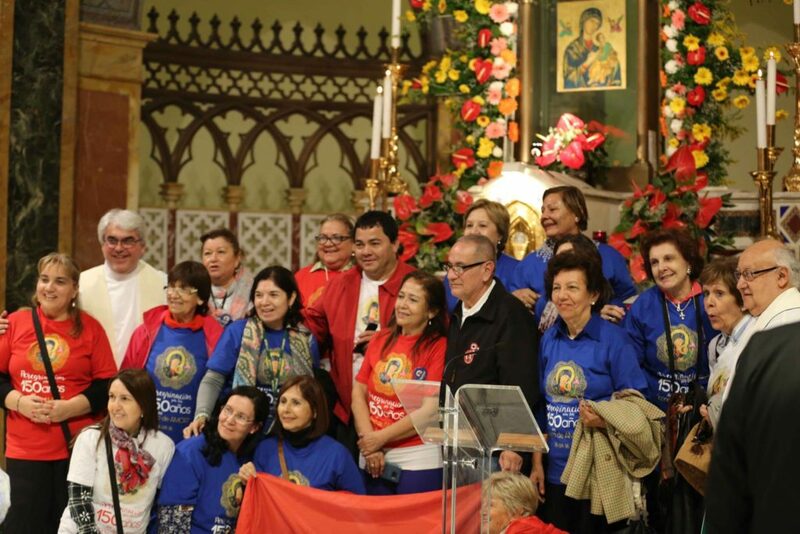 The hard work of the Shrine Team led by the Rector Arturo Martinez, the support staff and all the many and generous volunteers enabled this to be a celebration of grace and gratitude! 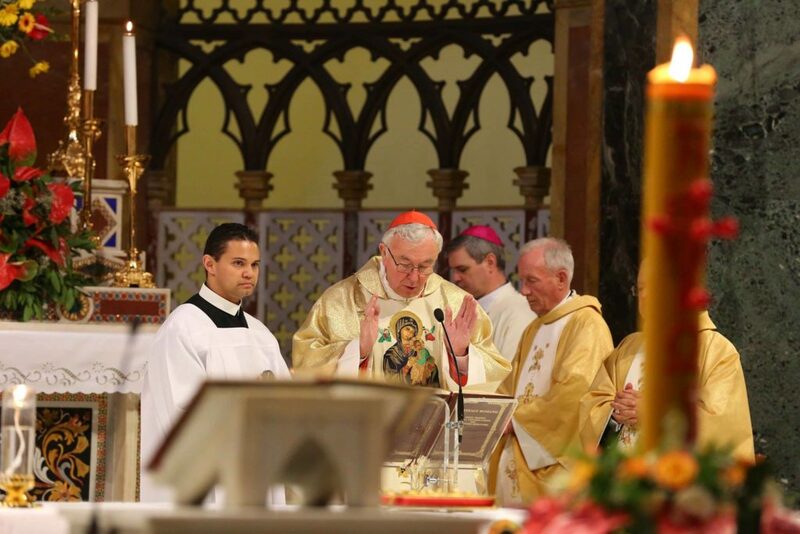 It could be characterized as an experience of the redeeming love of Jesus and the Perpetual Help of His Mother! 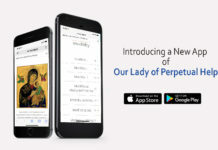 The icon is a patrimony and treasure for us Redemptorists and it is for us an assurance that Our Mother of Perpetual Help holds us close to her, just as she holds her Son, the Redeemer. She accompanies us in our mission and whilst we rejoice in continuing the mandate to ‘Make Her Known’, we know that the many devotees and pilgrims who have experienced her maternal care and presence are only too happy to do the same! The 26 April and the nine days preceding this feast, particularly, was a testimony to this!